Thin hair doesn't usually arm you with many styling options, you may say. And I will stop you here, cause with fine tin hair you can create any style you like, all you need to do is raise hair at the roots and obtain some styling skills to design even the most complicated updo hairstyle. Here I will show you updo hairstyles for thin hair to convince you that all is possible if you want. And after all if you are somehow not skilled at all, you can go straight to hair stylist and show him the hairstyle of your dreams and he will recreate it for the coming event. 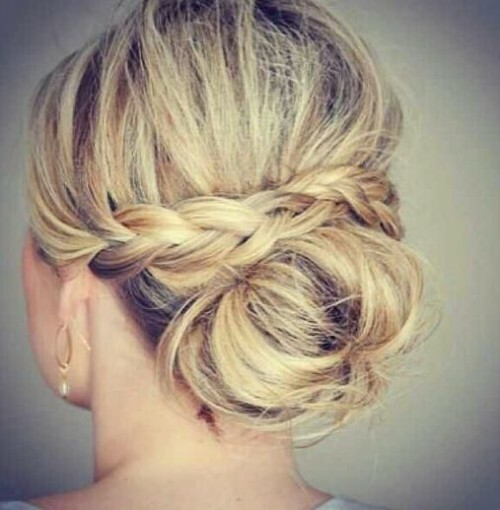 Low bun on thin hair looks flattering, designed a bit messy and completed with a braid from ear to ear makes this a unique hairstyle. 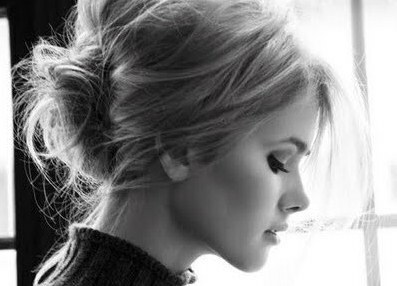 Mind to add much volume while styling, a bit bouffant will do no harm in this case. While styling this design you should make some bouffant, and note that all the ends are hidden in the twisted updo, and the image is that of thick healthy hair styled in a complicated way into an elegant design. You can think that thin hair and complicated hairstyles are never combined, but look at this great hairstyles with upside down braid. It is meant for thin hair and it looks simply astonishing. The styling process is easy by the way, after braided you just tie the ends in a messy top knot. 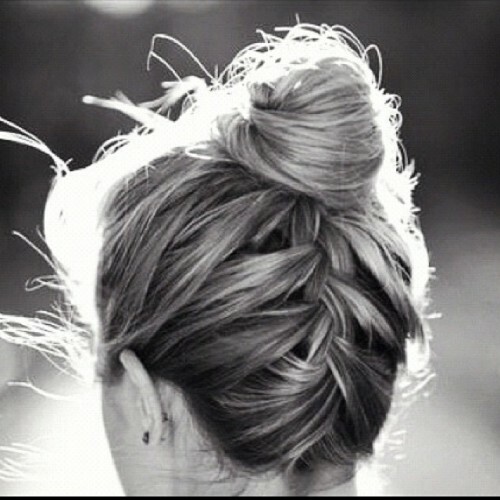 A messy bun for thin hair seems to require no styling skills at all, just fix hair in a bun and let it be! Simple and messy updo for thin hair. Just hair tied on the back, but it looks so tender and feminine, right?